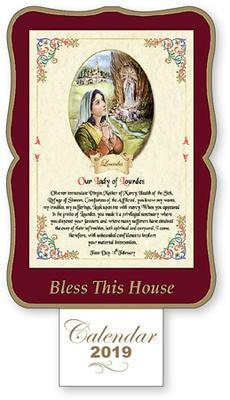 CATHOLIC GIFT SHOP LTD - 2019 Calendar - Our Lady of Lourdes & Bernadette Bless this House. 2019 Calendar - Our Lady of Lourdes & Bernadette Bless this House. 2019 calendar bless this house with prayer and image of Bernadette.